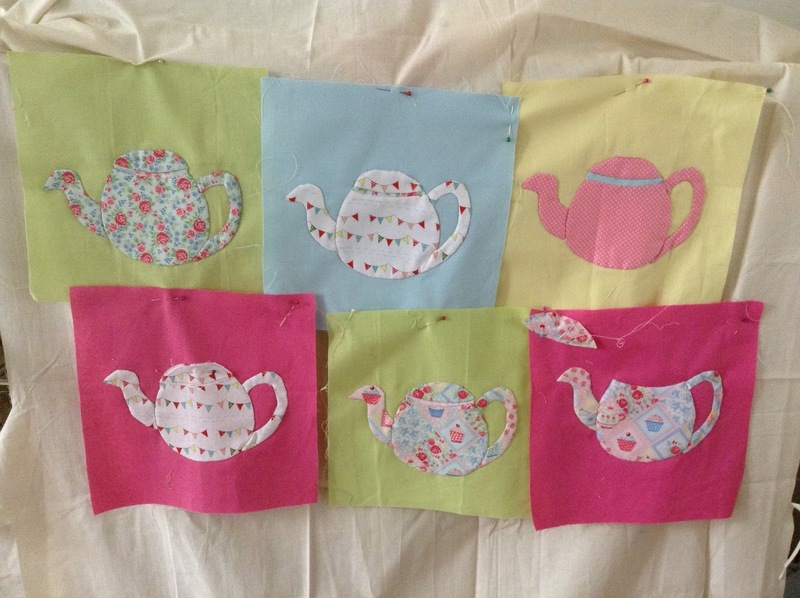 Legogirl's Cabin of Adventure........: Scrappy Quilt update with appliqued Teapot. 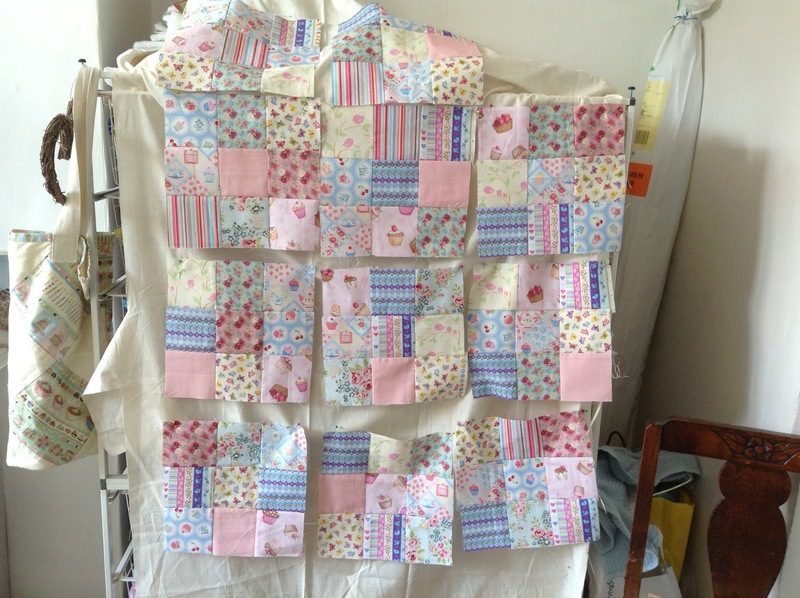 Well as some of you know I have been working on a Scrappy quilt, lots and lots of small squares all needing to be sewn together. Well here is my update, I have now completed 11 large squares and 6 teapots. Yes, you have read right, I have appliqued 6 teapots onto plain coloured fabric. As you can see a one needs its lids appliqued on. This will be done soon, the trouble with this quilt is, that very time I pick it up to continue, some one asks me to help them with something or the phone rings ! 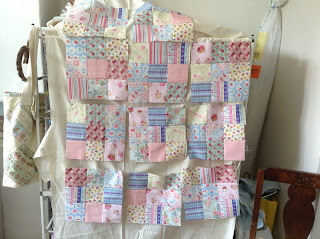 I want this quilt, to have a summery look to it, sort of "English Tea Party ". 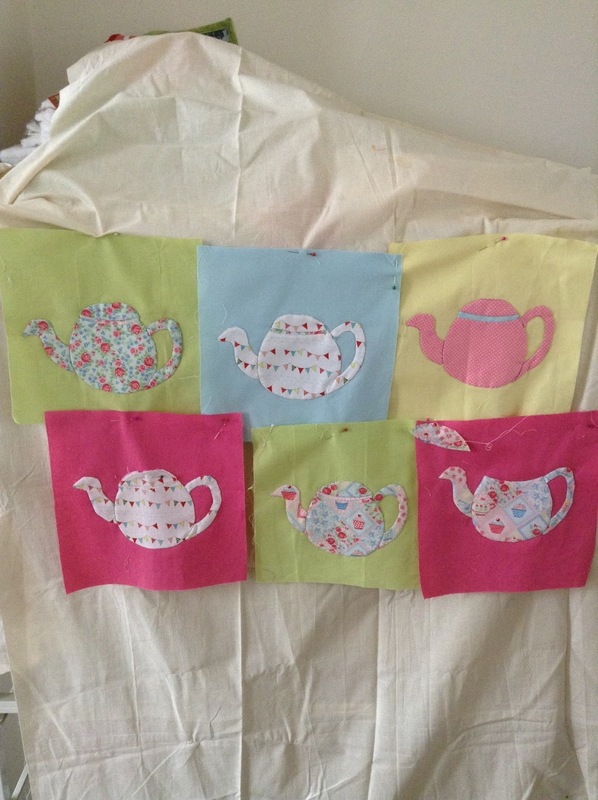 I may add appliqued cupcakes or tea cups! not decided yet, but when I do, I shall let you know. 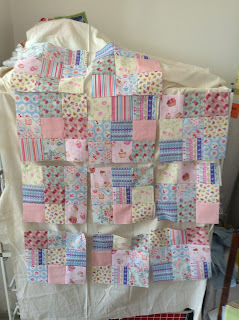 Well this is my update on this quilt, I need to finish some pin cushions too as they are long overdue! Oh tomorrow I'm making greengage jam in the morning, I'll let you know how I get on ..